The deployment of software packages through Active Directory software distribution, requires an MSI (Windows Installer) file. Adding this MSI file as a new package for software installation in a Group Policy Object (GPO) in Active Directory is fairly straightforward. However, some software products don’t seem to come as an MSI file, but rather as an EXE file. For these kind of software packages we need some extra steps before we are able to add it as a new package in a GPO. An example of such a software product is Google Earth. Recently, I was asked to prepare a software distribution for this product. This turned out to be a perfect example of a software package that needs some additional work to get things going. 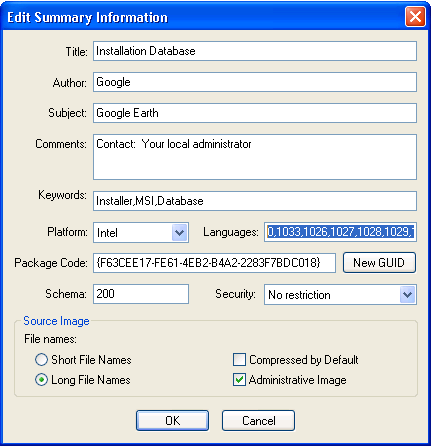 Google Earth is an example of a software product that does not come as an MSI file, but as an EXE file instead. Before we can create a new software distribution package in a GPO, we need to extract the MSI file that is contained in the EXE file first. There are several ways to extract the MSI file and all other files required for the installation of Google Earth, but I prefer to use an Administrative Installation. 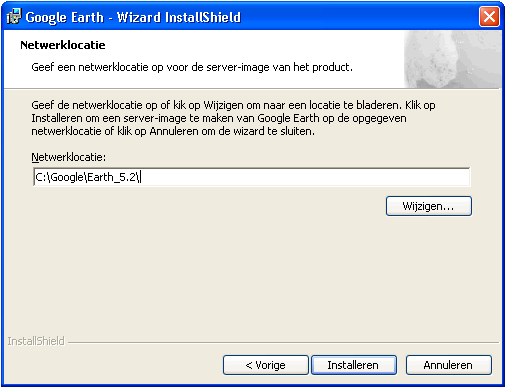 To perform an Admin Installation of Google Earth we need to run the installation package GoogleEarthWin.exe with the /A parameter. During the Admin Installation you will be asked for a network location where the installation files should be copied to. 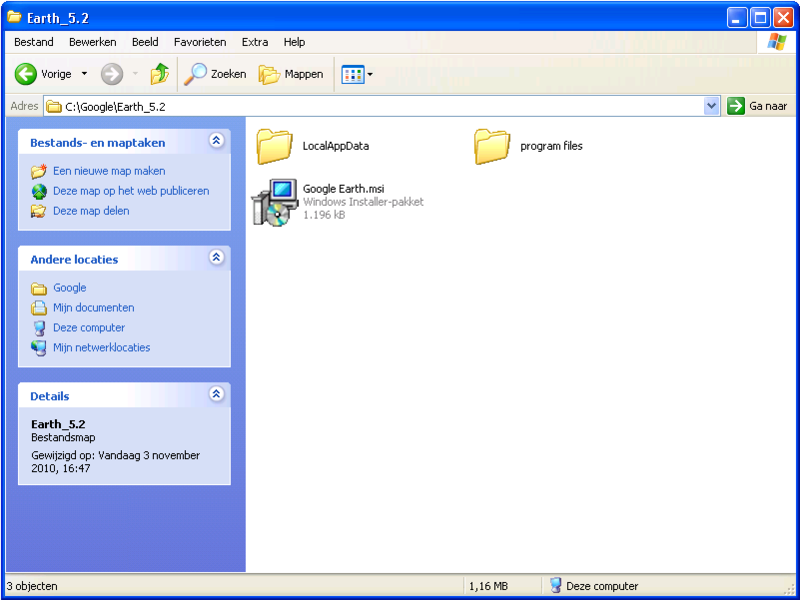 I used the folder C:\Google\Earth_5.2 as an example, but you should enter a network folder here. To modify the MSI file, just open it in an MSI Editor. I always use ORCA for this purpose. You can obtain ORCA here. The problem with this MSI file is in the Languages field. This field contains multiple values separated by commas for different languages. Just remove the contents of this field and just enter the desired language id (i.e. 1033 for US English or 1043 for Dutch). Now save the modified MSI file and try add it to the software distribution GPO again. The package should now be added to the GPO without any problems. Welcome to the official weblog of CE Computer Expertise.